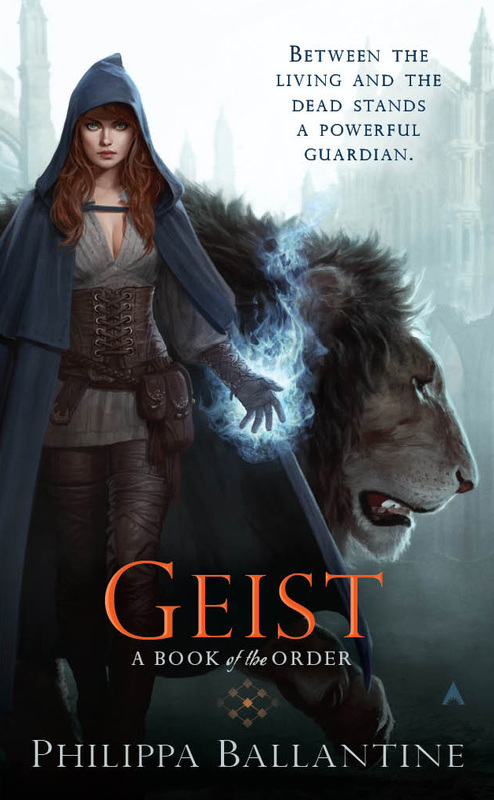 Geist was a book I'd heard a little of before - and almost all of it good, from the Fantasy Faction forums (if you haven't already, I recommend checking them out). At any rate, as soon as I received my copy, I began my read - and it started fast. Refreshingly, Geist takes up a pace far from the fantasy norm: throwing you almost straight into an action-packed encounter with one of the unliving, the in-world term for spirits from the 'Otherside'. Our initial protagonists - Deacons Sorcha Faris and Merrick Chambers - have a duty to tackle these incursions, as a pair of Active and Sensitive, their magical talents complementing each other. However, the unliving they're encountering are far from what the Order teaches - able to break accepted rules, these spirits appear to have been summoned... And when the newly paired Deacons are sent to investigate a wave of geist activity in the remote port of Ulrich, it immediately becomes apparent that their difficulties are only just beginning: there's a conspiracy (when isn't there?) and they are at the centre of it. Along, it seems, with another newcomer to the port. Raed Rossin, host of an inherited geist-lord and family curse - as well as the Pretender to the Emperor's throne. It's an interesting combination of personalities, and in general, they're handled exceedingly well. The Bond between Sensitive and Active is made much more than a pretty 'look, they're empathic!' toy - it's essential for their function. Without the magical senses of Merrick, Sorcha's considerable power is useless: as the book makes clear, 'useless' can easily become 'dangerous' without direction. Compelled by the bond, the Deacons' partnership is a good one, with both partners having difficulties to overcome - starting with Merrick's fear of Sorcha, who was involved in the events which led to his father's death. Raed, meanwhile, was slightly irritating to start with, but certainly grew on me - though I felt his relationship with Sorcha may have seemed slightly rapid, within such a short book (to its credit), it's still done well. The only character I felt didn't get enough development was the rather mysterious Nynnia. Merrick's interactions with her aren't fleshed out nearly as much as the Sorcha-Raed ones, leaving her a little unclear (though as I've now read the second book, I can say that this state of affairs doesn't last). The magic system makes Geist really excel - while not a Sanderson, it's still an interesting mix of functional, rule-based magic and mystery. The runes, used by the Deacons through the objects of either the Gauntlets (for actives) and Strop (for Sensitives), provide the rule-based side. We're introduced to them early, and also to the fact that Sensitives are hardly inactive - a nice twist. This means we can anticipate their use, but also serves a limiting role: no deus-ex-machina here! The Otherside, by contrast, is completely mysterious, with the other systems of 'cantrips' and the 'wild talents': never truly used for resolution, but definitely serving the role of a not-fully-explored system (something like the exploration of magic in The Way of Kings). Ultimately, it's a set of systems we're quick to grasp, and used to great effect throughout. Also... Airships. Let me just savour that word. Read this book, or have any questions, comments (or some great criticisms :D)? Comment below and tell me!